Elena is back with all-new adventures coming to DVD with the release of Elena of Avalor: Celebrations to Remember! 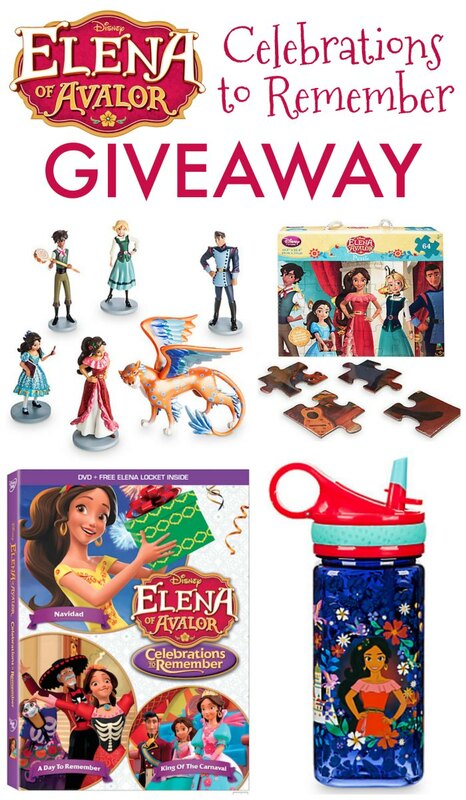 It’s no secret that we are big Disney Junior fans around here and we love Elena of Avalor. 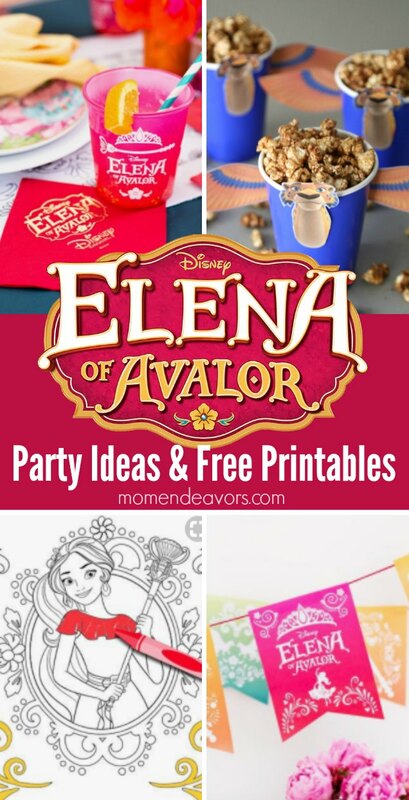 So, to celebrate the new DVD release, we have some super fun Elena party ideas and a BIG giveaway to share! Plus, ou can click the image below for all kinds of fun printable Elena of Avalor coloring pages & activity sheets! So, pick an activity to do and buy your copy of (affiliate link) Elena of Avalor: Celebrations to Remember! Join Elena and her friends and family as they celebrate holidays that honor the past, cherish the present and look forward towards a magical future! In these new adventures, Avalor celebrates Navidad, Dia de los Muertos and Carnaval! There’s something special to look forward to with each holiday! This DVD is packed with laughs, new characters to cherish, and heart. Plus, it includes four celebration themed episodes, plus two bonus episodes and a FREE exclusive Elena locket! And we have one more fun thing to help celebrate…A GIVEAWAY!!!! Enter using the entry form below. Giveaway open to U.S. Residents, ages 18+ through September 28th. GOOD LUCK!!! Disclosure: Prize pack provided by Click Entertainment to Mom Endeavors and for giveaway winner! I like the little water bottle and all the little extras you get. What is not to like about her. All the kids in my life love her. Hahaha! I actually have had the 1st entry win before! 😉 You can share on another day and come back if you’d like!! 🙂 Good luck!! The kids love Elena, but if I’m honest it’s my favorite too. Love the messaging and the songs. I like the Elena of Avalor: Celebrations to Remember DVD. She is so pretty and my granddaughter loves to watch her! I’m back lol I just thought I’d share again ! I am excited about the little figures! Excited about the water bottle. I am excited about the Figures Playset. My daughter and son like to watch Elena Of Avalor. I watch with them and enjoy the show too. I like that it shows a learning lesson with the show. I’m most excited about the playset. My niece LOVES Elena of Avalor. If I win, I will give it to her. I love the Elena of Avalor Figures Playset. This will keep a child busy playing for hours. I’m excited for the puzzle! I am excited about the water bottle. I like Elena of Aavalor because she is a good role model for little girls. I would love to win this so I can give it to my niece and nephew. Thanks for the giveaway. I hope that I win. I am so excited about the puzzle!! I love how elena stands up for what she believes in and doesn’t let anyone stand in her way! I really love how Elena has strong family values. It is so important for little kids to learn it and also for us, little kids by heart, to remind it. I also love the colors of the show, when they change outfits, love love love the songs, some latin culture, Elena is so strong an independent but also a teenager, she is humble when she needs to learn something new. I’m a huge fan! My daughter would LOVE the puzzle! My niece will like the water bottle for her soccer games. We are most excited about winning the Celebrations to Remember DVD. We love good family movies that we can watch together. I’m most excited about the DVD. kristiedonelson(at)gmail(dot)com Thank you. Happy Fall! My little girl would love those figures! My daughter has been begging for the figures & dvd for Christmas! I love the water bottle though. My favorite thing about Elena of Avalor is how enthusiastic kids are about the show! I love the Figures play set. 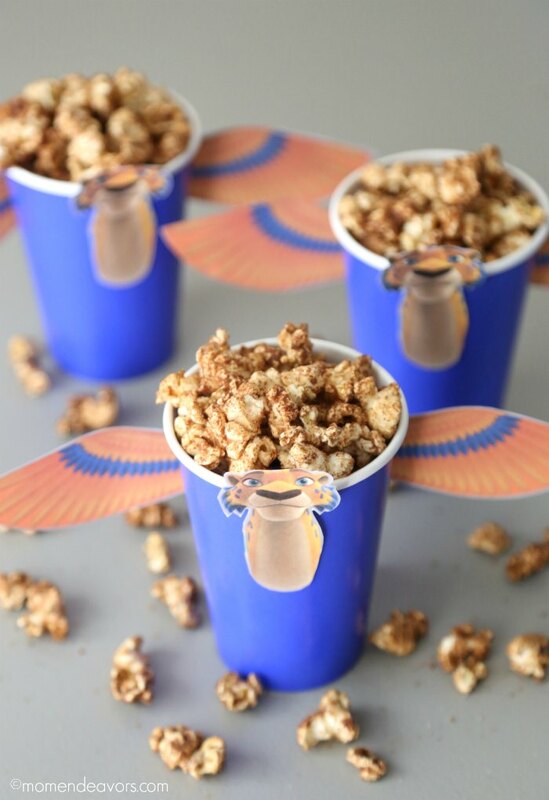 These are so nice to take to keep kids occupied when running errands or going on trips and they encourage imaginative play! I like the strong female lead character as an example for my daughter! My niece will like the water bottle. I really like the water bottle. I think my daughter would love to have her very own bottle just for her! I like the little action figures! My daughter loves Elena! And I appreciate her watching a positive female rolemodel! I’m excited about the whole prize pack. My girls love them and the puzzle and DVD and figurines! They both want this Elena of Avalor themed birthday party next month! I love this whole prize package. Our 4 year old Samantha would love this! I love that it’s Disney! My granddaughter loves all of it. Her favorite is the little play figurines. I am excited about the Figures. My daughter says Everything!!!! She loves Elena!!! Everything in this prize looks amazing but I think the DVD will be great! I can’t wait to see it with my daughter! I am most excited for the puzzle. My daughter would love it! My Granddaughter loves Elena! She is most excited the figures. Elena is a big hit with my girls and they will love the figure playset as well as the other prizes. I like Elena of Avalor because families can learn about the culture of another country. Most excited about the DVD. My 5 year old granddaughter does not have cable at her house and she can only watch DVDs. She would love this one. What a fun gift pack. The little girls in my class just love Elena. We would have great fun with this prize pack. Thank you. Elena of Avalor: Celebrations to Remember DVD looks so cute my kids would love watching it. If I won this would be for my 5 year old daughter. She would be most excited about the water bottle because she could take it to school and show all her friends. I think the action figures would be fun for my god-daughter and her siblings to play with! If I win this will go to my 5 yr old granddaughter, she loves Elena! She would love the figurine playset!